A trip to the spa is a common travel activity. It can be a great way to experience local culture and customs, enjoy some serious relaxation and/or remove the grime that accumulates while on the global road. Although most services are ordered a la carte, if you opt for a package treatment you'll most likely begin with a foot bath delivered by your attendant. This usually involves having your feet washed and scrubbed in a basin of warm water with flowers. A pumice stone may be applied to your feet as well as some scented oils and/or soaps. Foot baths, accompanied with a foot massage, are also popular treatments for those wanting some personal care (especially after a long day of sight seeing) but aren't interested in the full body experience. A body scrub is an exfoliating spa treatment. A therapist rubs a coarse mixture over the body to remove dead skin cells and stimulate circulation. The mixture is rinsed off leaving the skin soft and smooth. A variety of materials are used as the exfoliant - salt, sugar, apricot shells, polyethylene beads, jojoba beads, pumice, ground loofah, sand, crushed grape seed and more. This material is suspended in a liquid that can contain essential oils, oils such as sweet almond, sunflower, and coconut, herbs, and/or vitamin A, C, E. Scrubs are also known as Salt Glow, Sugar Scrub, Full Body Exfoliation. The beauty of body scrubs is that they are one of the spa treatments that you can do yourself at home with great results. Wraps can be enjoyed on their own or as part of a package, in which it will usually follow the scrub. During a wrap treatment, your attendant will cover you in a warm sticky covering that has the consistency of jam or jelly and comes in lovely smelling mixtures, such as papaya and aloe or more earthy concoctions such as seaweed or volcanic mud. Either way, you'll covered from your neck down in your selection and then you'll be wrapped up in a cocoon made from a variety of natural materials, banana leaves are common. For the next 15 - 30 minutes, you'll be left in isolation and your skin will soak up the ingredients while you drift in and out of a light sleep. A facial treatment can also be enjoyed on its own or as part of a spa package. When part of a package, it typically follows a wrap or scrub -- after most of your body has been scrubbed and you are relaxed, you'll be stretched out on a table and all of your attendant's attention will be focused on your face, neck and head. Usually a facial involves the deep cleansing of the skin on your face and may also include a neck and/or scalp massage. A facial treatment may use scented cleansers and may last between 15 minutes and one hour. Facial skin rejuvenation also includes treatments like dermaplaning, micro needling, microdermabrasion, and microcurrent lifting. Each specialty treatment focuses on specific skin conditions to correct and repair. Specialty ingredients like peptides, stem cells, lipids and ceramides have turned facial treatments into corrective skin care. One of the most popular forms of treatment, due to its ability to release muscular and emotional tension and induce deep relaxation. Sports massageis for example is used before, during or even after training exercise to excel performance, prevent injury and speed recovery. Aromatherapy baths are often part of a spa package and entail relaxing in a large tub filled with warm water. Typically, the tub will decorated with fresh flowers floating on the surface and may also have scented oils, where the aromatherapy comes in, added to the water. The idea is that while relaxing in the water, the scents will deepen your state of relaxation. The Hamam is a Turkish style bathing system that occurs at a marble setting. Usually the real hamams in Turkey were built on thermal fountains. Particularly in South-East Asia, you'll find your spa visit to be much less expensive than you would find in North America and Europe without cutting out any of the ambiance or experience (you'll likely have more). Bali - Probably one of the premier destinations for those looking for a variety of spa treatments. 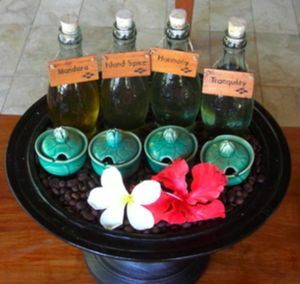 Coffee and Javanese lulur body scrubs are popular items on most spas menus. Facilities range from the quiet, basic and unpretentious (such as in Lovina on the northern part of the island) to the opulent, extravagent, and luxurious (such as in Ubud and Seminyak). Better yet, Bali is one of the most affordable locations in the world to have a treatment; if you ever had an urge to splurge on a spa and were on a budget, this would be the place to do it. Boracay - Has a wide variety of spas and treatments available, probably due to its large international visitor base. As a result, you choice of spas will be quite broad to suite any appetite and price range. Kuala Lumpur — While not as inexpensive as other places in Asia, KL does not disappoint those looking to be pampered. A variety of treatments can be found in this cosmopolitan environment for a variety of prices. Even the finest treatments in the most luxurious spa will be at least half of what you would pay in Europe or North America. Individual spas are located throughout the city with the largest concentration being found in Starhill Gallery shopping center, where you'll find a dozen treatment centers appropriately clustered on the floor called "pamper". 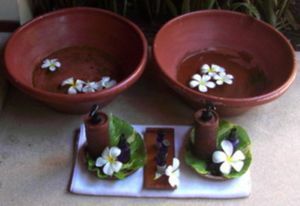 India- Being the land of Ayurveda and Siddha Vaidya, India offers unique spas with various shades of Indian treatments. An Indian spa experience is best enjoyed at traditional and reputed clinics and homes of traditional Ayurveda and Siddha Vaidya physicians. Authenticity is the core of an Indian spa rather than the luxury component. Indian spa therapies are generally priced lower than imported ones. Maldives - Most resorts at this famously beautiful honeymoon paradise include a spa, but treatments tend to be charged at famously expensive Maldivian prices. Manila - You'll find most of the spas within the Makati business district's upscale hotels: Mandarin Oriental, Peninsula, Discovery Suites, etc. Like the hotels that host them, the spas within these establishments offer an excellent value compared to what you would find outside of Asia. Singapore - It is become one of spa destinations in Asia. Singapore Tourism Board and Spa Association Singapore have been continue to support and ensure excellent services and treatments from Spa outlets. Today, You can find Spa outlets in every corner of Singapore. Most of them provide their uniquely spa services and treatments. However, unlike in neighbouring countries, spas are generally expensive with prices only slightly lower, if not on par with Western countries. Thailand - A visit to the spa seems to be on the agenda of every visitor to Thailand, and for a good reason; Cities such as Bangkok and Chiang Mai - and islands popular with tourists, such as Phuket, & Ko Samui - have affordable, high-quality spas. And although not strictly speaking the same as spas, even the smallest provincial town will have massage parlors dishing out bone-crackling good Thai massages for a few hundred baht per hour. Chichen Itza, Yucatan, Mexico. In this famous Mayan archaeological site, the traditional Mayan healing methods are still practice by native Maya medicine elders female healers are known as X-Men while male healers are known as J'Meen. Mayan healers offer various unique spa experiences based on ancient herbal traditions, holistic healing ceremonies, purification and beauty rituals. Chichen Itza has one of the best eco-spa wellness destinations in North America, which is dedicated to preserve the Maya culture and bring Spa goers the opportunity to experience the vast Mayan holistic traditions still practice by the Maya in Yucatan. Vermont, United States. Vermont has some of the best known destination spas in North America. Spa goers can take advantage of the outdoor activities such as hiking and cross country skiing in the Green Mountains. Luxury SPA Mexico. Surrender to a world of healing arts at the world-class Velas Resorts spa resorts in Mexico. Located in the stunning locations of Riviera Maya on the Yucatan Peninsula, and Riviera Nayarit and Puerto Vallarta on the Pacific Ocean, Velas Resorts spas capture the essence of nature and distinctive cultures unique to Mexico. Delray Beach, Florida, United States. Delray Beach is a 2 Time All American City for it's artists, restaurants, and white sand beaches. The spa and wellness community is also alive and well, with a focus on lifestyle and affordable spa treatments. Bella Reina Spa offers travelers and guests a friendly, warm "Florida" relaxation oasis, just minutes from the beaches. Spa - The town that gives it's name to all Spa's and where Spa reine mineral water comes from. There are dozens of spas and spa hotels in Finland. Some of these are traditional health spas and others are modern tropically warm indoor water amusement parks with spa treatments. Sauna bathing is very important in Finnish spas because Finland is the country of sauna's origin. Modern spas are family resorts with children's pools, water slides, jacuzzis etc. There are famous spas in these destinations: Hämeenlinna, Imatra, Kuopio, Lappeenranta, Naantali (the largest spa in Finland, the only Scandinavian member in the Royal Spas of Europe affiliation), Nokia (the most popular family spa destination in Finland), Saariselkä (the northermost spa in Europe), Savonlinna, Siuntio, Tampere and Turku. Somewhat different traditions from South-Eastern Asia, see Budapest#Baths for background and listings. County Kerry in the south west of Ireland is home to many five star hotels that specialise in many different Spa treatments. West Cork is easily accessibly to nearby Cork and many quality hotels have stunning views of the Atlantic Ocean and Irish Coast. This page was last edited on 20 June 2018, at 14:47.